Minister DuBose, affectionately known as “Vee”, transitioned peacefully from this life on Monday, January 7, 2019 in Meridian, MS. She was born on the 31st day of August 1949, to Abraham and Laura Shelton, into a home where Christian education was of the utmost importance. Minister DuBose was the fifth of ten children, and was predeceased by a sister, Chrissandra Shelton. Her formative years were spent in Alexander City, AL, where she was educated at the elementary and secondary levels at Laurel School. She earned a Bachelors Degree in Education from Alabama State University, Montgomery, AL. She involved herself in continuing education programs through the University of Illinois, while working from 1972 thru a portion of 1979 as a Teacher in the Pembroke Community Consolidated School District #259, Pembroke, IL. At Pembroke she was sometimes called, “Rev. 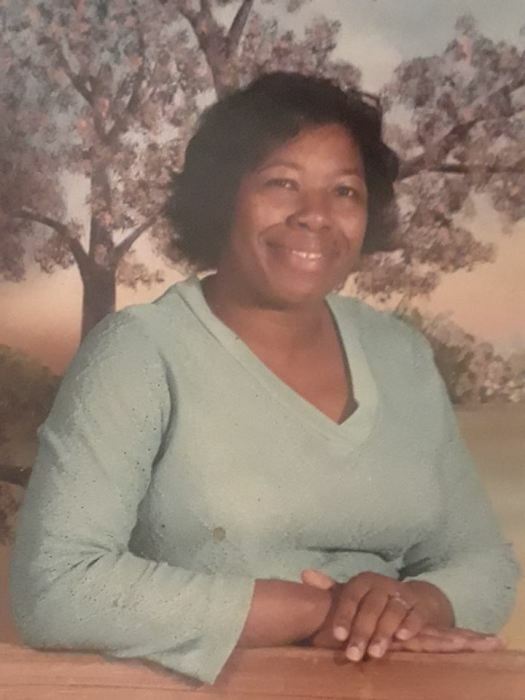 Mother.” After moving to Yantley, AL she became employed as a teacher at Lisman School, within the Choctaw County, AL School District, and retiring after 27 years. Minister DuBose attended Great Bethel Baptist Church early in her youth. At age 12 she was summoned, of God, to unite with The Holiness Church of God of the Apostolic Faith. At age 15 she was called into the ministry of the Lord Jesus Christ. Although denied access to many pulpits, because of her gender, she was not deterred or discouraged in preaching the word of God. She preached indoors in homes, outdoors, wherever people welcomed the word and desired to hear from God via “a preacher.” She was often called into the principal’s office, while in high school, because of her ministry, to pray for sick individuals. Her role in ministry span more than four decades until her physical health brought changes. When the time came that she could not verbally deliver a sermon, she would “wave her hand,” especially when the conversation concerned the Lord. Through her ministry of the Word, her testimony, and faith walk, her mother and others united with The Holiness Church of God. Minister DuBose served in various offices in The Holiness Church Of God, as local church secretary, singing in the choir, Radio Announcer during the local church Radio Broadcast, for a time as National Secretary, and First Lady of True Light Holiness Church. Grandmother Laura’s prayer included a request that the Lord would “send Vee a good husband.” The answer came in the person of Bishop Curtis DuBose (Sr.), and was fulfilled in a marriage, surrounded by a gathering of family and friends in 1979. A marriage that endured more than 37 years standing together, “to love, comfort, honor and to keep each other in sickness and in health” and working in ministry together, and ending only at the transitioning of Apostle DuBose, October 14, 2016. To this union were born three Children. Together they stood often denying themselves, dedicated to ministry, traveling hundreds of thousand miles to carry and deliver messages from God to his people. Knowing that she had a scheduled appointment with God, but not knowing the date, nor time, she aspired to pleasing, being acceptable to him, and ready when her final call came. Forever Cherishing Her Memories are: Crystal DuBose of Yantley, AL; Cheryl (Lovell) DuBose-Moore of Tuscaloosa, AL ; Christopher DuBose of Birmingham, AL; Felicia (Glenn) Mays of Cincinnati, OH; Dorothy (Willie) Curtis of Yantley, AL : Jimmy (Betty) DuBose of Yantley, AL; Agnes DuBose of Yantley, AL (with acknowledgement to Agnes’ late husband Bishop Curtis DuBose, Jr.); 19 Grandchildren and 13 Great-Grandchildren. Siblings: Abraham (Shirley) Shelton Jr, Laura S. Carr, Rev. Oress (Elzie) Shelton, Rebecca S. Hassell, Abber D. Shelton, Reseda A. Shelton, Byron L. Shelton and Emma S. Black. Brothers-in-Law: Willie (Clara) DuBose and Okie L. DuBose. Church Family: Apostle & Mother W. T. Traylor and The New Covenant Ministries of the World, Incorporated.